Everyone in my family likes this kind of desserts, so I often prepare them. 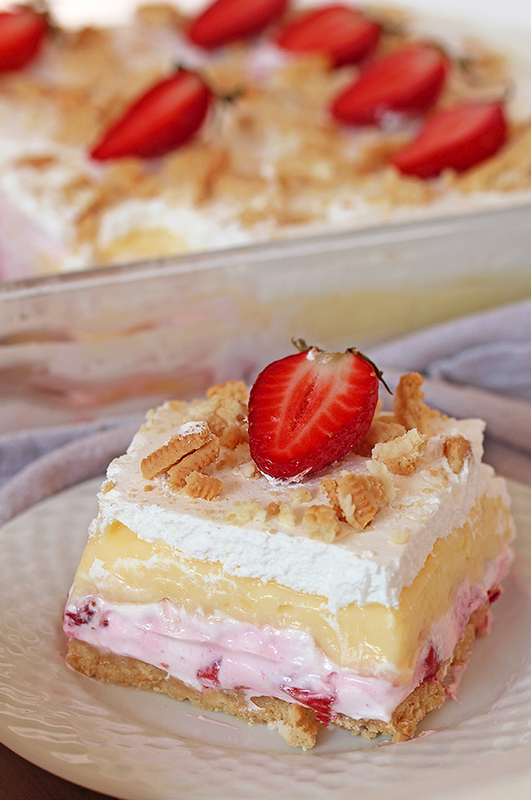 Now, it´s time for No Bake Strawberry Lush. 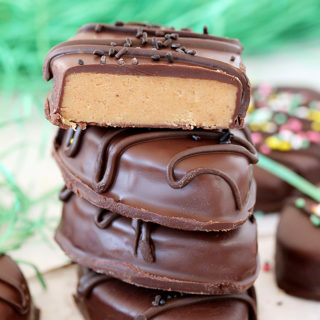 It has four different layers, four different flavors and their combination is fantastic. The crust is made of golden Oreo crumbs and butter. The first layer is made of cream cheese, Strawberry Greek yogurt, whipped cream, powdered sugar, vanilla and strawberries. This layer is really creamy, so it needs to be cooled, before you add another one . The second layer is made of instant vanilla pudding, milk and sour cream. Whipped cream, crushed Oreos and strawberries come on top. Yum, this is so tasty, trust me. It is strawberry season now, so make best of it and prepare delicious desserts for you, your family and friends. If you are looking for a dessert that is quick and easy to prepare and is really tasty, No Bake Strawberry Lush is a perfect choice. 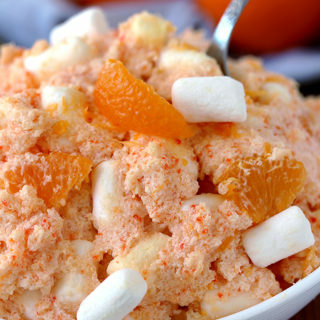 Everybody in my family loves this incredibly delicious dessert, because it is light and not too sweet. It can be prepared for special occasions and holidays, like Easter or Mother´s Day. This dessert will be perfect after a big dinner. 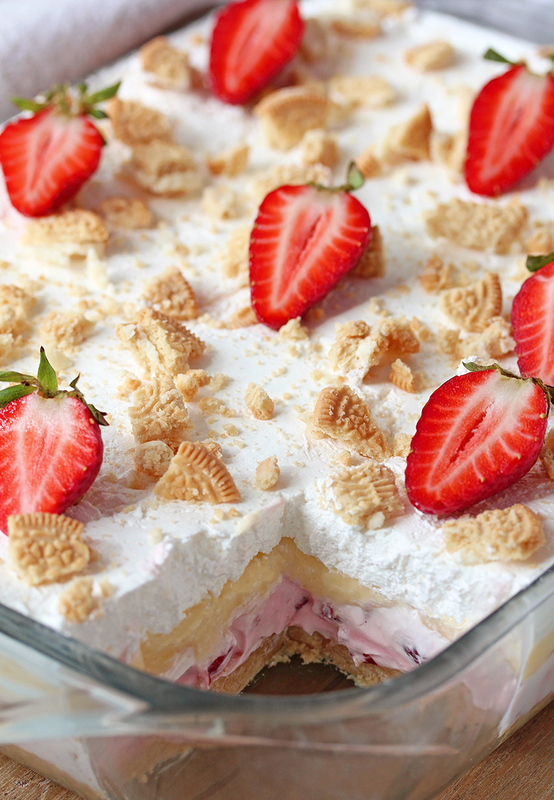 What do you need to make No Bake Strawberry Lush? How to make No Bake Strawberry Lush? Spray a 9 x 13 inch pan with non- stick spray. Set aside. Put Oreo cookies in the food processor and crumble them. Add melted butter and mix. Press into 9 x 13 inch pan. Chill it. In a large dish, beat heavy whipping cream 1 min at low speed. Change the speed to high and beat until stiff peaks form. Set aside. In a separate dish beat, at medium speed, cream cheese, Greek yogurt, powdered sugar and vanilla, until creamy. Add two cups whipped cream and mix. Fold in strawberries. Spread over the Oreo crust. Chill. Whisk instant vanilla pudding powder and milk, for about 2-3 min. Add sour cream and mix. 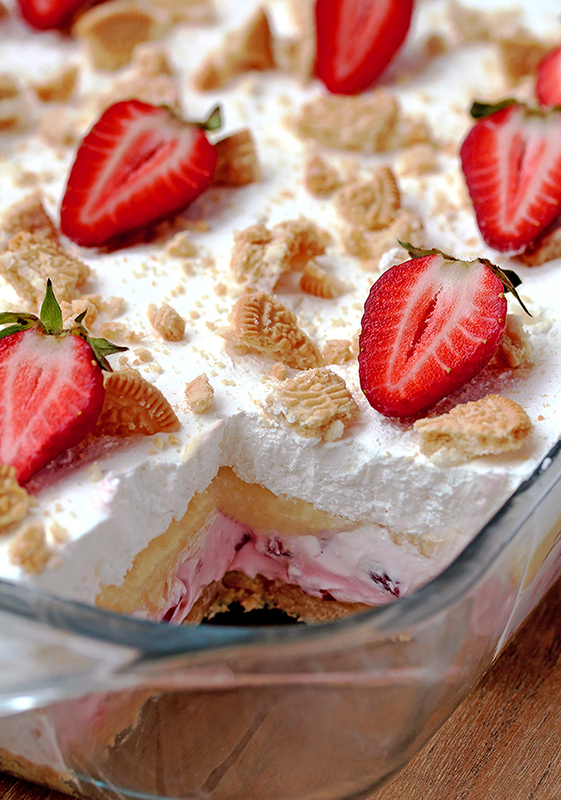 Spread over the strawberry cheesecake layer. Top with the rest of the whipped cream, crushed Oreos and strawberries. If you like strawberries check out Strawberry Shortcake, Fresh Strawberry Cream Cheese Cake and Easy Strawberry Banana Fluff Salad. 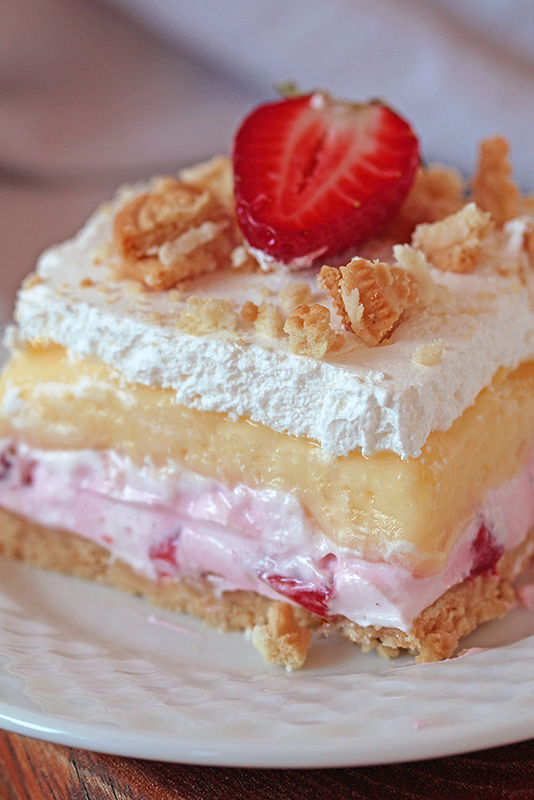 All of you who like layered desserts, take a look at Layered Desserts. Spring is here, fresh strawberries, as well. Enjoy lovely spring weather with tasty strawberry desserts. 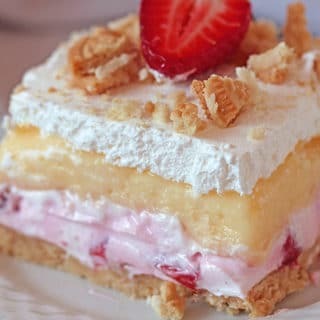 No Bake Strawberry Lush – is a layered dessert with golden Oreo crust and creamy layers of strawberry cheesecake and vanilla pudding, topped with whipped cream, crushed golden Oreos and strawberries. In a large dish, beat heavy whipping cream 1 min at low speed. Change the speed to high and beat until stiff peaks form. Set aside. In a separate dish beat, at medium speed, cream cheese, Greek yogurt, powdered sugar and vanilla, until creamy. Add two cups whipped cream and mix. Fold in diced strawberries. Spread over the Oreo crust. Chill for 30 minutes, to become solid. Whisk instant vanilla pudding powder and milk for about 2-3 min until it thickens. Add sour cream and mix. 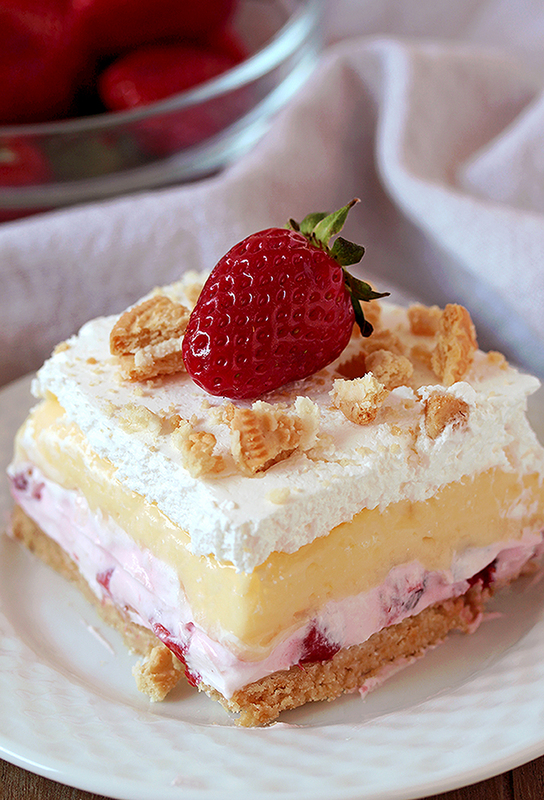 Spread over the strawberry cheesecake layer. Top with the rest of the whipped cream, crushed Oreos and halved strawberries. 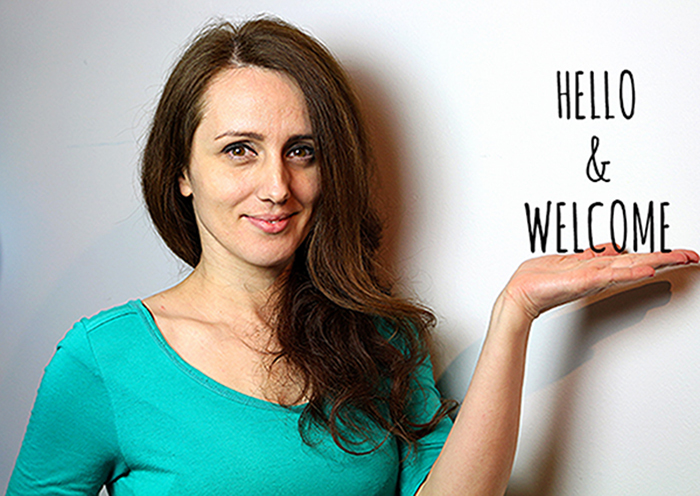 I’m so happy to hear that 🙂 Thank YOU and enjoy, Dee!